This morning, the National Capital Chapter of the U.S. National Committee for UN Women hosted its annual 5K Walk to End Violence Against Women and Girls. 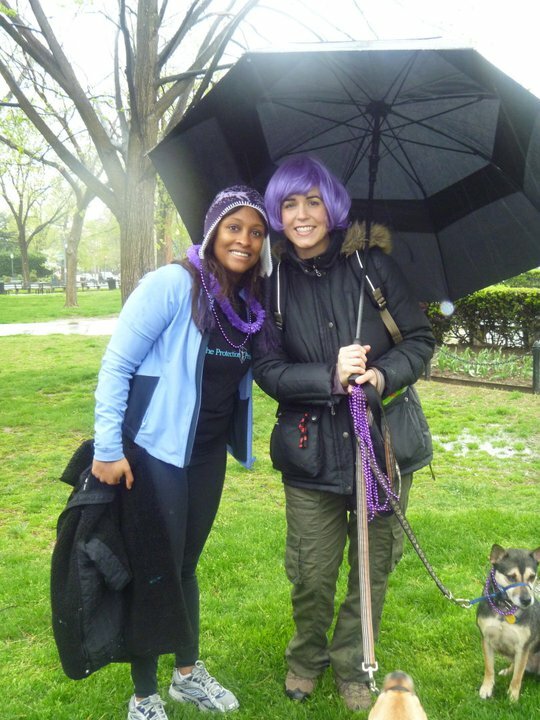 Despite the wind and rain, lots of walkers wearing their most festive purple gear turned out for a fun morning. I was delighted to earn the title of top fundraiser for the D.C. walk, with over $1500 raised! (See the final total here: http://www.firstgiving.com/fundraiser/allison-asplin/2011-national-capital-chapter-walk-to-end-violence) My fellow SAIS classmate Nicole Epps also received recognition for her fundraising efforts. A huge thank you to those who donated, and to all my readers out there working to make a difference for women! Entry filed under: Uncategorized. Tags: event, events, SAIS, un, un women, unifem/usnc, united nations, violence against women, women, women's development.